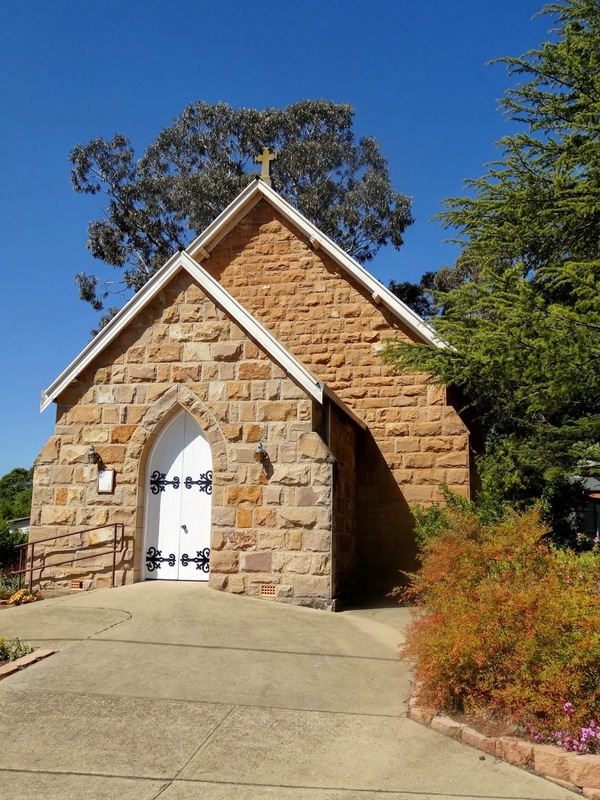 Rylstone/Kandos has always been on my list of must visit places. 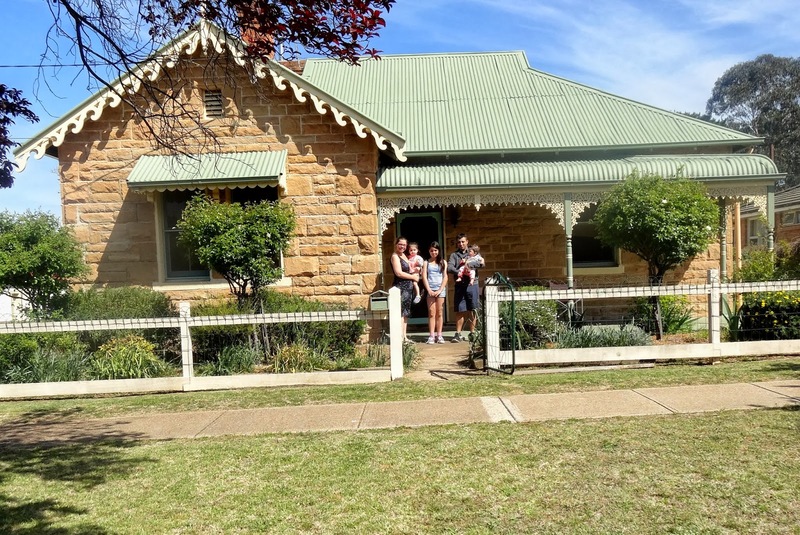 Dad grew up there, and there is the occassional illustrious person on our family tree (a female bushranger, an early senior clerk in the Australia Treasury) that has always made me want to see the area. For the October long weekend we packed the kids up and headed out to stay in the most gorgeous little historical home you can imagine. Picture high ceilings, deep fireplaces, a dining table smack in the middle of a kitchen filled with ancient cooking implements, and a backyard that never ends. It was fully self contained with all the modern amenities you could want, so we had fun playing house. Definately beats a hotel. Lorelei was in her element, banging in and out of the screen door, running around a yard that included tree's, bushes to hide behind, a pond with a bridge, a gorgeou big blue tongue lizard, and flowers. 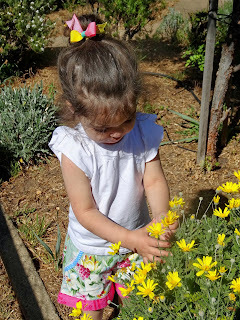 For her this trip was about the never ending flowers, all hers for the picking. While I think the council and local business's are really missing some key opportunities to make more of their deep historical heritage, there was alot of fun to be had. Museums, bushdance, HEAPS of great places to eat, (The Globe Hotel in Rylstone has a great feed at a great price), local markets, great little rural shops, as well as the family history side of it for me. I took the opportunity to visit my great-grandfathers grave, as well as review the records in the local museums for information on our family. Bizarely enough, in my travels I actually ran into someone that I am distantly (like from here to the moon) related to. The only downer for the trip, was getting to the one museum I had a really keen interest in, and finding out that it is closed indefinately due to council disputes. Grrr. We will have to pay a trip back again one day if it reopens, as I understand there are records in there on my family. Love old churches. Apparently I will be going to Kandos for some kind of car thing so I will have to check out some of the things you saw!! Ooh, thats only a few weeks away, you will have a great time. Avoid the Lady Bushranger Hotel for food at all costs, The Globe Hotel is a 100 times better feed and only 2 minutes walk away. And theres a cute little (limited food options) cafe called Down the Track in Kandos thats so easy to miss because of poor signage, but its in the old train station building. Nice for pancakes for brunch. 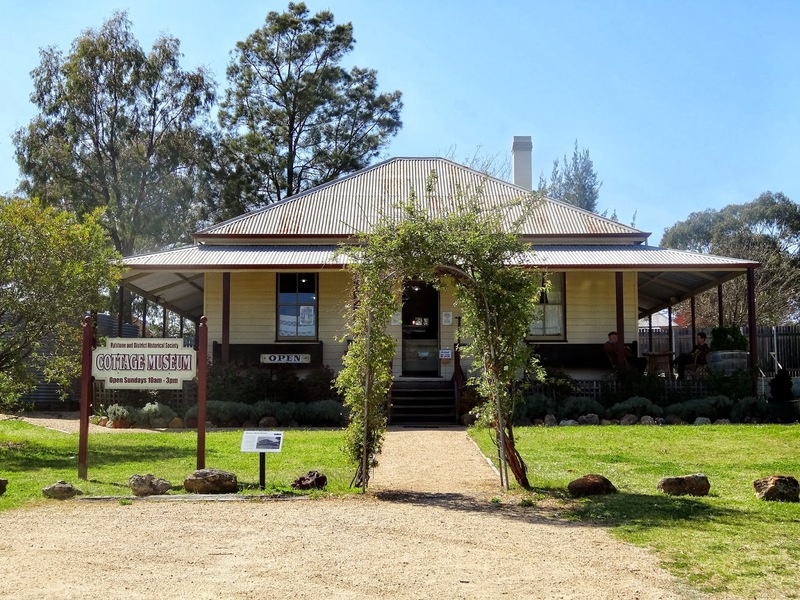 Just to let you know, The Lady Bushranger Bistro is under new management and now gives the globe a run for its money, also museum is shut for renovations. There's also a few new shops that have opened since your post. The Saffron Kitchen is one that truly stands out.